If you are considering getting a new pet, a rabbit is definitely a pet to consider. Most people don’t know that rabbits are friendly, entertaining, lively, and great pets. They can form excellent bonds with both the owners or other pets in the household, and they can be very affectionate as well. However, rabbits are not simple pets to raise and require careful care and planning. The following checklist can help you decide if a rabbit is right for you or not. First, whom is the rabbit going to belong to? Sometimes, parents purchase rabbits for children as holiday pets; this practice is very popular around Easter. However, the newness of the rabbit can wear off after the holiday, so this purchase needs to be thought out fully. Make sure that you have done proper research about the care, cost, and time needed to raise a rabbit. Next, how much time per day do you have to spend with your pet? One of the nice perks about rabbits is that they generally sleep during the day and are up at dusk, which works out nice for those who work during the day and come home at night. However, rabbits also require a lot of daily exercise. Most rabbit experts suggest about 3 hours per day of exercise to keep your rabbit in healthy shape. Having an exercise pen can also help to give the rabbits proper exercise. Potential owners will also need to consider where the rabbit will be housed. Rabbits can be kept outdoors, but it is preferred that they will live inside. Leaving a rabbit outdoors leaves it unprotected from harsh weather, predators, and disease. Having a rabbit indoors will increase his or her happiness immensely. You should supply a large cage, food, treats, toys, and fresh water for your new pet. You also might want to put the rabbit in a room where many people pass by him or her so that he or she can become used to people easily. New owners also must consider the expense that a rabbit canincur. 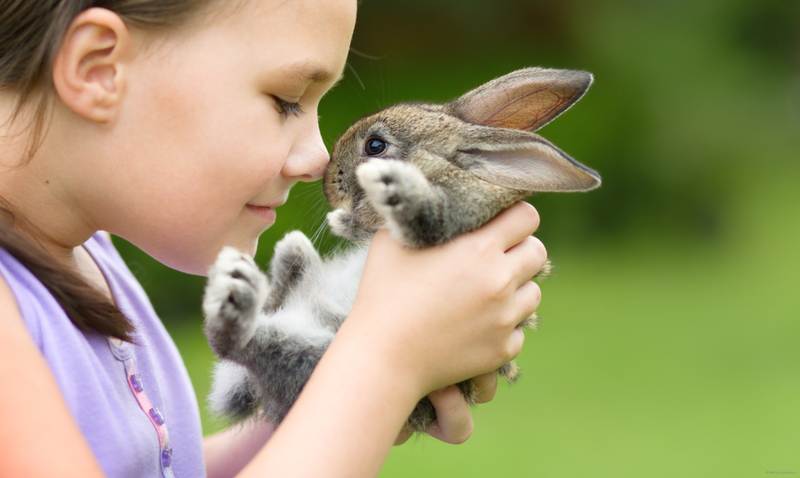 Rabbits have very sensitive immune systems, and digestive or dental issues are quite likely. My previous rabbit, Bill, had both dental disease and frequent bouts with GI Stasis, a serious digestive issue. I spent thousands of dollars on tooth trims and vet visits. This is not even considering the cost I spent on food, bedding, toys, treats, and so on. Keep in mind that even though a rabbit is a small pet, it’s also a big responsibility. It’s up to you to provide the best possible care for your new friend. A final consideration is figuring out where to get a rabbit. My personal suggestion would be to contact a local shelter, as there are often many rabbits that are looking for a good home. All of my rabbits have come from shelters, and they have each been well-socialized and healthy. 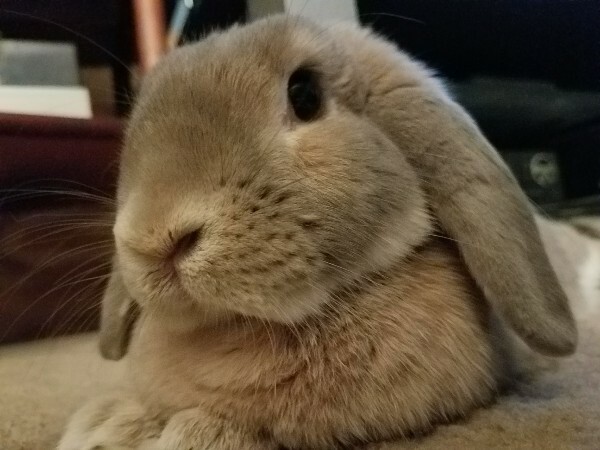 The second best choice would be to go through a reputable breeder, who can trace the line of the rabbit and give some details about the parents. The last possible choice is a pet store, with which I would be cautious. Although many pet stores have a great business and great pets, some purchase rabbits through breeder mills. Much like puppy mills, rabbits have to live in tiny cages with no exercise or human contact. If you choose to purchase an animal through a pet store, double-check that they use a reputable breeder. Above all, rabbits are incredible pets for any responsible pet owner. They are fun-loving and charming; however, owners must be prepared to learn as much as possible about their new pets. Enjoy your new pet! I The linear flight formations of migratory birds are known as echelons, with the common shapes being the “J” or “V”. In fact, a real ‘V-shape’ formation is not as common as the ‘J’ formation. Birds fly in formation for the following; as a result of it saving energy and likewise to facilitate orientation and communication among the birds. II Not all birds have equally hollow bones. Birds who dive into water—like gannets, terns, and kingfishers—and the ones who fly in no time, like swifts, have less air in their long bones than other birds. III Birds don’t fall off of a branch once they sleep as a result of their toes mechanically clenching round the twig they\'re standing on. As a result of this, the grabbing action is completed by tendons instead of muscles, the birds will sleep while not in danger of falling. IV The wishbone may be a bird’s fused clavicle. The strongest fliers have the widest angles in their wishbones. They are the sole vertebrate animals to possess a fused clavicle. V The heaviest bird within the air is the Kori Bustard, from East and African nation. It weighs almost 14kg, with the biggest one recorded to be around 14kg. Due to its size and weight, it takes a lot of strength to fly, it flies only in emergencies and only travel short distances. VI The specie of bird albatross will soar for as long as six hours while not moving its wings and this too will be done in air or while at flight. This is like falling down from a plane without parachute.